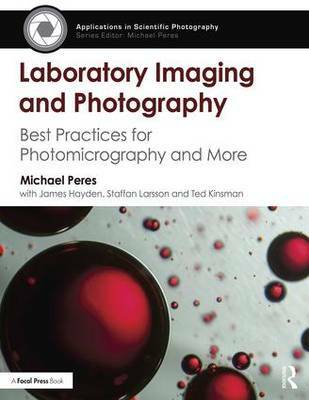 Laboratory Imaging and Photography: Best Practices for Photomicrography and More is the definitive guide to the production of scientific images. Inside, the reader will find an overview of the theory and practice of laboratory photography, along with useful approaches to choosing equipment, handling samples, and working with microscopic subjects. Drawing from over 150 years of combined experience in the field, the authors outline methods of properly capturing, processing and archiving the images that are essential to scientific research. Also included are chapters on applied close-up photography, artificial light photography and the optics used in today's laboratory environment, with detailed entries on light, confocal and scanning electron microscopy. A lab manual for the digital era, this peerless reference book explains how to record visual data accurately in an industry where a photograph can serve to establish a scientific fact. "The book is both comprehensive and accessible to photographers at all levels. Each topic is approached without expectation of previous knowledge from the reader or any photographic snobbery. For example, whether you are reading about comparisons between focal plane, sync speed, leaf and electronic shutters or how to apply an un-sharpen mask in Photoshop, everything is written in an easy-to-digest way for photographers of all backgrounds. [It] provides theoretical content to underpin many of the day-to-day practices of a medical photographer. Other practising clinical photographers will find the book reaffirms much of their current knowledge, while enhancing their understanding in some areas and potentially providing an introduction to unfamiliar techniques. The underlying feeling I had throughout reading this book was `why couldn't this book have been available while I was studying?' I will certainly be using the book as part of my continuing professional development for many years to come."